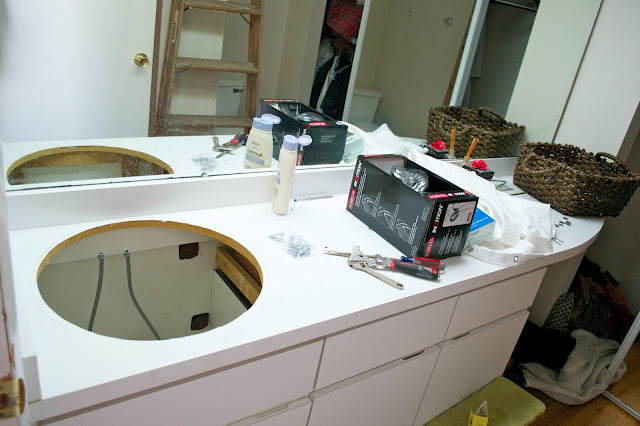 This bathroom was an eyesore of white laminate accentuated by way to many mirrors and a pretty nasty sink so we finally decided to fix at least one of these things and pop out the sink. 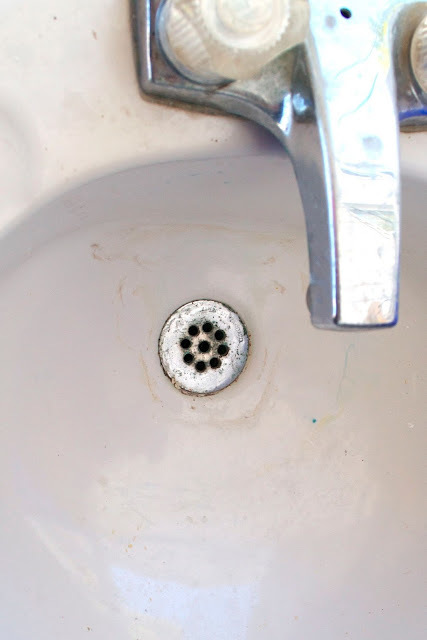 I had tried many times to get the old sink clean, but the at-one-point clear faucet handles that had turned cloudy along with the odd ring around the drain (not to mention the drain itself) made the sink always look dirty. Let's zoom in on the nastiness shall we? Gross right? Since I could not get the sink clean with products, we headed to Lowe's to see how much it would cost to replace it. 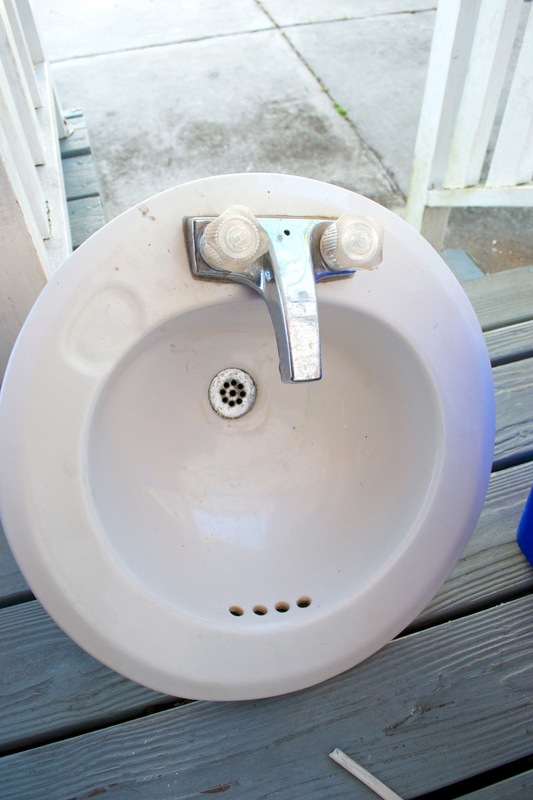 Did you know that you can get a replacement sink like this for under $20? I didn't, and it definitely made our decision on wether or not to replace it a lot easier. 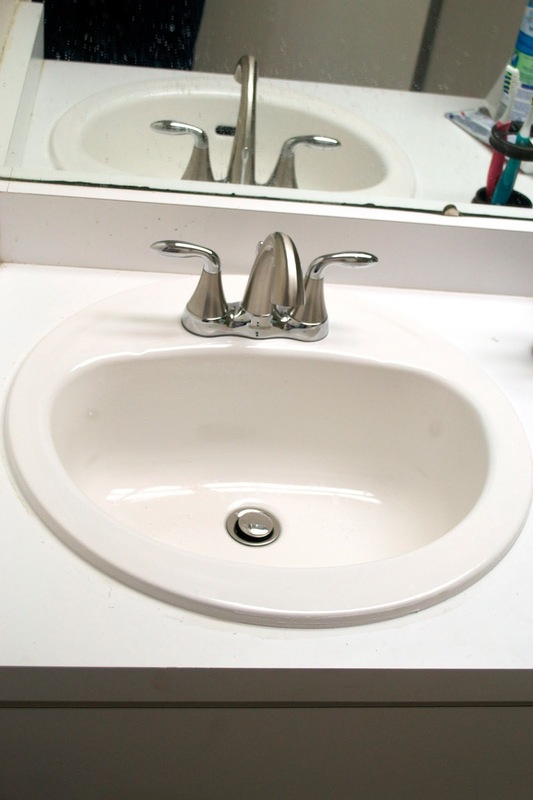 We also picked up a new faucet on clearance and after a little install we had a nice and clean new sink. We have a few other projects in this room that we're slowly working through and hopefully when we're done it's a much nicer space. Until then, we at least don't have to stare a grodiness when brushing our teeth!